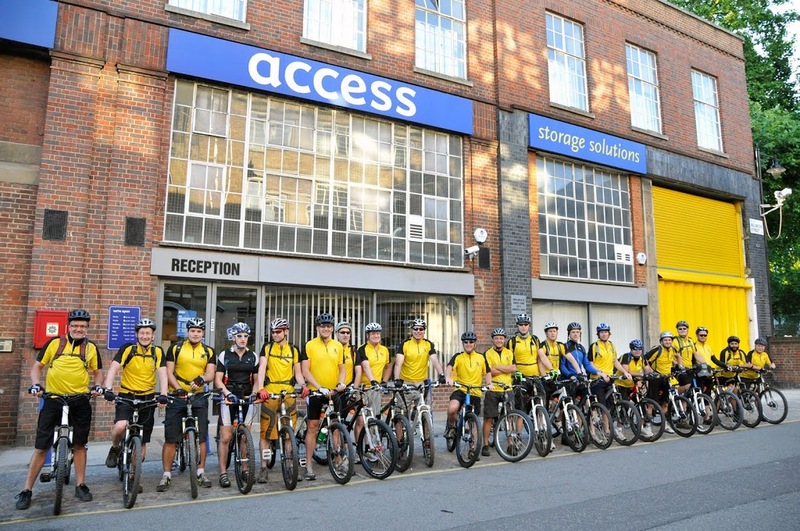 24 charity cyclists rallied together by NG Bailey building services were given a 6am send off by Access Self Storage in Kings Cross this morning, after the storage unit specially opened to allow them to collect their bikes for a 15 hour London to Brighton bike ride! All cyclists are raising money for Richard House Children’s Hospice. Alan Dawson of NG Bailey was full of praise for Access Self Storage, saying that the whole team ‘have raised the bar and exceeded our expectations’. Nearly five hours in to their demanding mission, we wish all the cyclists lots of luck as they pedal their way to the coast!